The surrealist movement in art is most often identified with male artists, many of whom objectified women in their paintings, casting them as sexual or symbolic ideals. Conversely, the female artists of the movement delved primarily into their own subconscious and dreams. 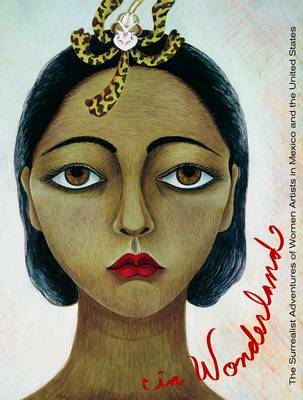 This volume features the work of 48 Mexican and U.S.-based women artists whose contributions to the surrealist movement span more than four decades and whose work was both influential and radical in its own right. Thematically arranged, it includes more than 250 full-colour images along with several essays exploring the effects of geography and gender on the movement. This unique book illustrates surrealism as a gateway to self-discovery, especially in North America, where women artists were freed from oppressive European traditions and the vagaries of war. From 1931, the year of Lee Miller's first surreal photograph, to 1968, when Yayoi Kusama presented her landmark happening Alice in WonderlandA" in New York's Central Park, the artists and works depicted here are both significant and extraordinary in their explorations of personal and universal truths.